Help Ajit fighting for his life against his Kidney Failure for two years now. They say that everyone’s an atheist until the plane starts to fall. Our survival instincts are so strong, that we would cast aside everything that we believe in just to keep breathing. For Ajit Pratap Chavan, the plane has been falling for two years now. The 45 year old gentleman was another working class hero, like millions of others you see on the local trains of Mumbai. 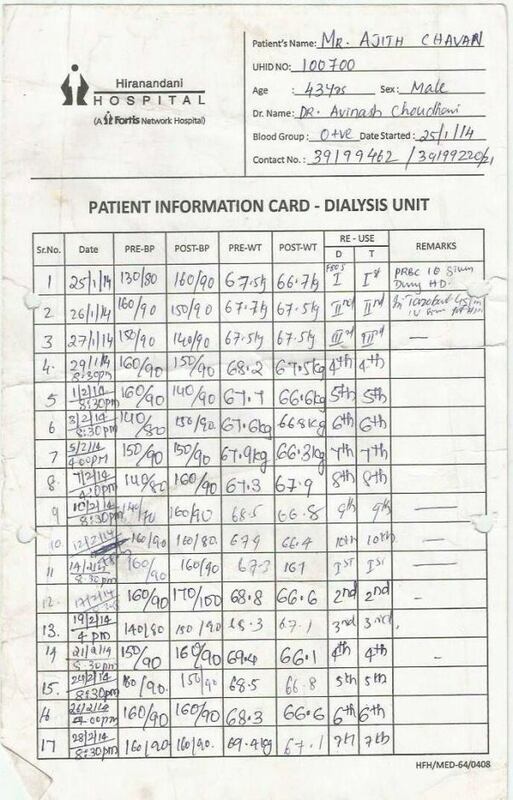 Unfortunately, his life was brought to a standstill when he was diagnosed with end-stage renal disease. Like a true Mumbaikar, Ajit didn’t call it quits. As long as he had his fighting spirit, he had everything! For two years, he has been going to the hospital every alternate day for dialysis treatment to keep him alive. Without complaint, and without letting the hope in his heart get extinguished. His wife, Neeta - who is only 37 herself - and his 9-year-old son have also stepped up to the plate and helped him fight the good fight. 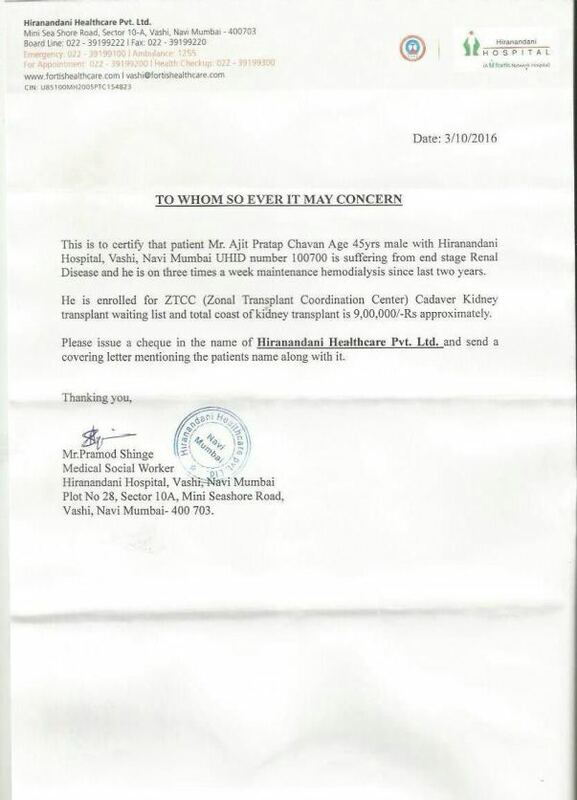 All their hard work came into fruition when Ajit found his name at the top of the kidney transplant list. They had found a match! But what was supposed to be a moment of euphoria turned into one of despair. The family was given only half an hour to come to a decision and arrange for the funds - and their half an hour was up. Two years of hard word was undone in half an hour! Let us not let this family go through this agony again. The next time they find a matching donor for Ajit, let them have the funds to say a resounding “YES” to life. The overall treatment can cost up to Rs. 15 lakhs, depending upon the complexity of the transplant. However, under best circumstances, an amount of Rs. 9 lakh is required. 9 lakh for a fighting chance, which is all that Ajit and his family want. Thank you for reading this. Your support is much appreciated.